At ACHS students have the opportunity to be in a wide variety of choral ensembles! For the 2016-2017 school year, the following choir classes are available for students to partake in. At ACHS we believe in having a well rounded choir program that explores and exposes students to a diverse range of choral music. This ensemble will serve as a representative in our community of the Vocal Program. This ensemble will perform at Civic functions, concerts, various schools within the district, as well as performing at various festivals and contests. Membership is by audition only and is open to sophomores through seniors. Auditions will be held each January/February for membership in the group for the following school term. ACHS vocal music students are expected to sing alone, and with others, a varied repetoire of music with a level of difficulty of a 4, on a scale of 1 to 4, including some songs performed from memory. Students are to sing music written in three, four and six parts, with or without accompaniment. Students are to demonstrate well-developed ensemble skills. ACHS vocal music students will demonstrate the ability to read a vocal score. This small select ensemble will serve as a representative in our community of ACHS’s Vocal Music Program. This ensemble will perform at Civic functions, concerts, various schools within the district, as well as performing at various festivals and contests. Membership is by audition only and is open to sophomores through seniors. There is a maximum enrollment limit in this class of 24 singers. Auditions will be held each January/February for membership in the group for the following school term. Students are to sing music written in four and six parts, with or without accompaniment. This ensemble is only open to female students. This ensemble will perform at Civic functions, concerts, various schools within the district., in addition to various festivals and contests. Membership is by audition only and is open to sophomores through seniors. Auditions will be held each January/February for membership in the group for the following school term. 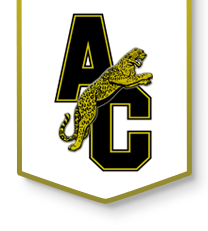 ACHS vocal music students are expected to sing alone, and with others, a varied repetoire of music with a level of difficulty of a 2-4, on a scale of 1 to 4, including some songs performed from memory. Students are to sing music written in two and three parts, with or without accompaniment. Students will sight-read, accurately and expressively, music with a level of difficulty of a 2. This ensemble will perform at civic functions and concerts. This is a non-auditioned choir and is open to freshmen through seniors. ACHS vocal music students are expected to sing alone, and with others, a varied repetoire of music with a level of difficulty of a 2, on a scale of 1 to 4, including some songs performed from memory. Students are to sing music written in two, three and four parts, with or without accompaniment. Students will sight-read, accurately and expressively, music with a level of difficulty of a 1.